Amelia Island, Florida – On October 20, 2016, Goulston & Storrs' Jennifer Furey was formally inducted into the Litigation Counsel of America at the LCA’s 2016 Fall Conference & Celebration of Fellows. The Celebration of Fellows Gala was held at The Ritz-Carlton, Amelia Island in Florida. Intellectual property litigation and class action employment litigation are the focal points of Jennifer Furey’s legal practice. As a director in the firm’s Litigation group, she represents individuals and businesses with intellectual property matters concerning utility and design patents, trademarks, trade dress, trade secrets, false advertising and copyrights, and with high-stakes class action employment litigation matters. Jennifer has tried numerous cases to verdict and has successfully obtained summary judgment on behalf of clients in both employment litigation and intellectual property matters. 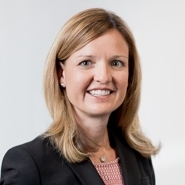 Jennifer is a member of the editorial board for the firm's retail blog, Retail Law Advisor. For more information regarding the LCA or the 2016 Fall Conference & Celebration of Fellows, please contact Jessica Sullivan at 212-724-4128 or [email protected].